Buckle material: zinc and antique brass tone finish. 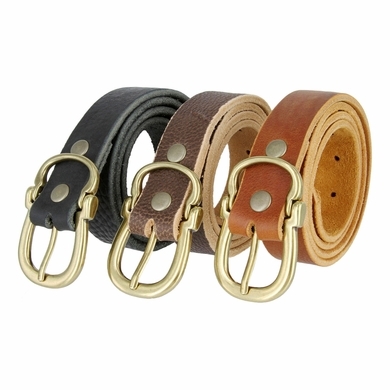 High quality buckle with a loop included in the buckle. One piece full cowhide leather hand cut. 1-1/8" Wide. Nice and thick belt strap.